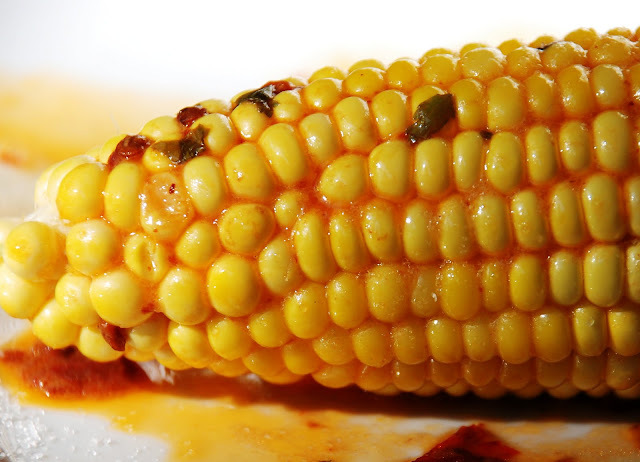 You’ll love the extra spice that the chipotle chili butter gives your corn. Toss your ears on the grill before you butter them to get a quick char and even deeper flavor. I have also used my indoor grill and it worked just fine for the char effect. This chili butter can also be used on steak or lobster for a variation of flavor. It also keeps in the refrigerator and I keep it on hand to quickly add spice to grilled meats in the summer. Stir together butter, scallions, chipotles, zest, and rounded 1/2 teaspoon salt in a large bowl. Cook corn in a large pot of boiling water until crisp-tender, 3 to 5 minutes. Transfer with tongs to butter mixture and toss. Toss on the grill to finish off.